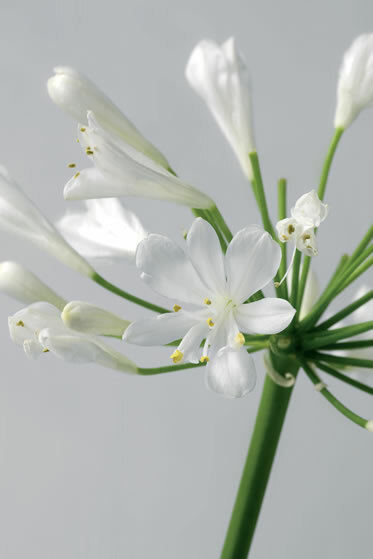 You are currently browsing articles tagged garden flowers. 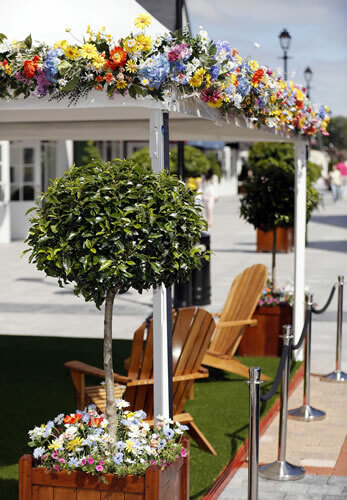 This fabulous living catwalk has been designed by four-time Chelsea Young Florist of the Year, Joe Massie. 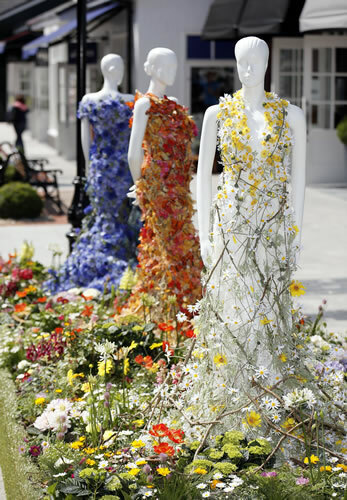 The catwalk is the highlight of Kildare Village’s Chic Summer Festival event. 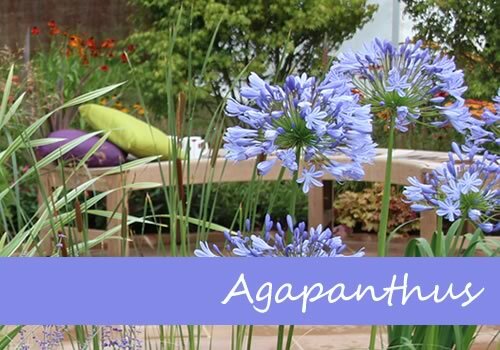 There is a programme of events throughout July which include musical performances, artisan food and floral inspired cocktails. 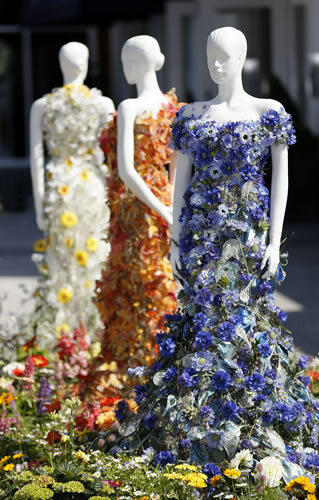 Joe’s installation features three floral dresses surrounded by a carpet of flowers and plants. The designs reflect aspects of an Irish Summer, one dress is inspired by cornflowers, one by butterflies and one by daisies. 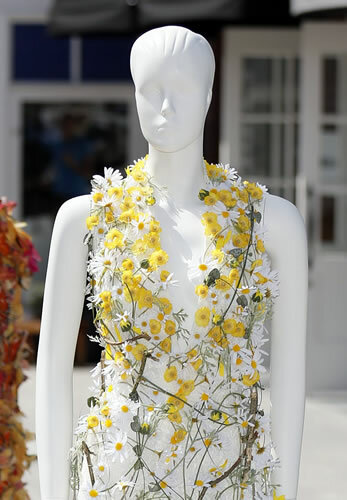 Daisies are particularly relevant as the event’s ambassador is Daisy Lowe, she launched the event on 5th July. Joe’s team also decorated the performance stage and food marquee. 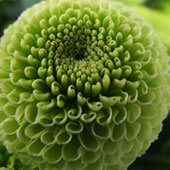 The exquisite designs were very labour intensive and took a team of 8 florists, five days to complete. The catwalk will be in the open air for a month, so a combination of real and artificial materials were used to ensure the designs look perfect throughout the event. 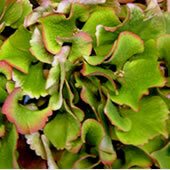 The dresses contain fresh grasses, succulents, echeverias, lichen and branches. 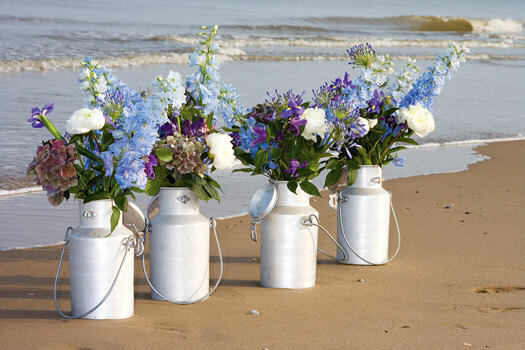 The plants and flowers used were roses, dahlia, hydrangea, marguerite daisies, gyposphilia, lavender, cornflowers, and cosmos. The installation can be viewed until Sunday 29th July, at Kildare Village outlet shopping, Ireland. Hydrangeas are thirsty plants and get their name from the Greek word “Hydor” meaning water, they were introduced to the UK in 1788 from Japan. 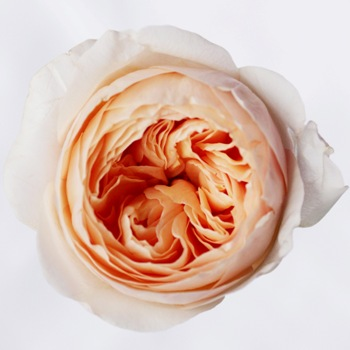 There are many varieties and colours from pure white through to blush pink, and amethyst, as well as many beautiful two tone varieties. 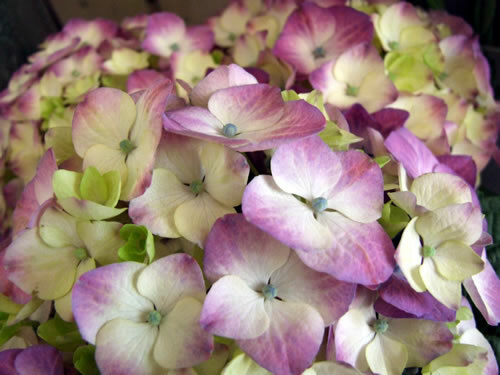 There are three main types of hydrangea, pronounced hiy-DRANE-gee-a, the Mophead has large round flowers made up of dozens of tiny florets. 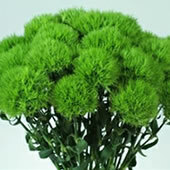 This is the most recognizable type and popular as a cut flower. 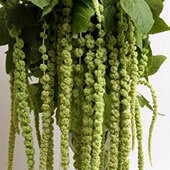 Panicle is a long cone shaped cluster of florets and Lacecap is a flatter shape with lots of tiny buds surrounded by a circle of normal sized flowers. Hydrangeas have become very popular cut flowers in recent years; they are often featured in home and lifestyle magazines for modern rooms or country kitchens. 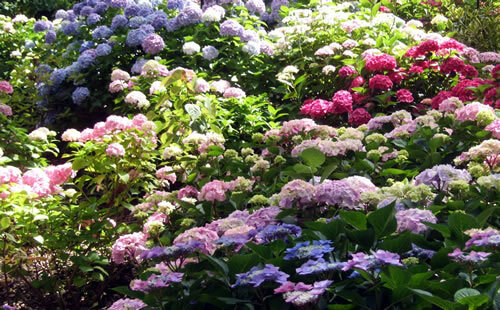 They drink a lot of water, so hydrangeas should always be in deep water. 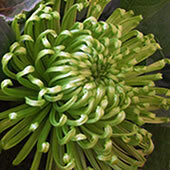 If the flower head goes soft or starts to wilt the stem should be recut and plunged into boiling water for 30 seconds before replacing into the vase. 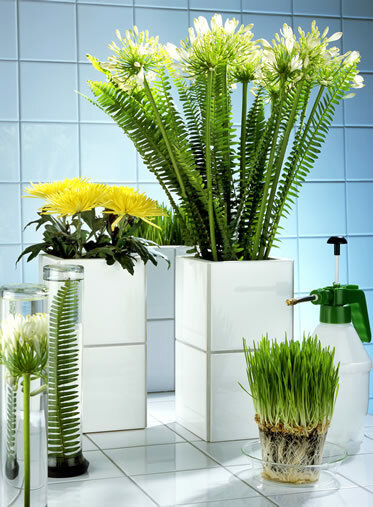 For a contemporary look use a vase of hydrangeas in a vivid colour. 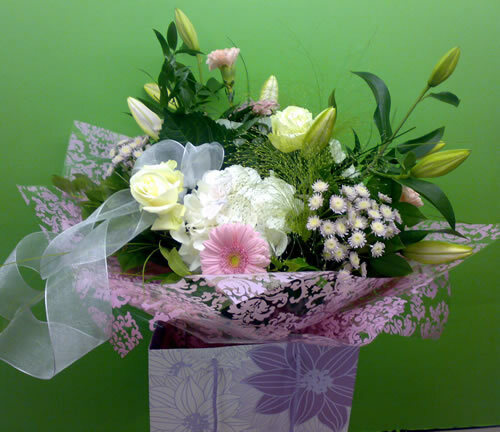 The beautiful pastel shades or two tone varieties give a more vintage or rustic appearance. 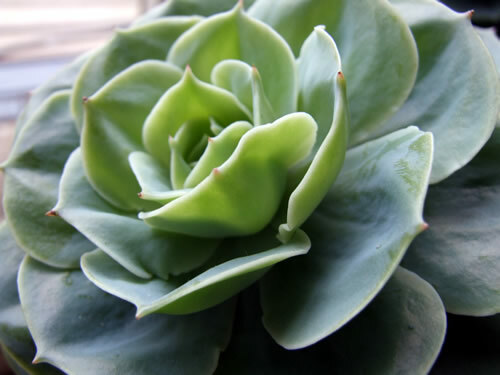 I would mix hydrangeas with roses or peonies for a vintage look.